1884 - Forest Hill Pools built. They are amongst the oldest public baths of the Victorian era. 2001 – a management-only contract is drawn up for the pools which means no investment in maintaining the infrastructure or upgrading facilities. Not surprisingly, the condition of the pools deteriorate. 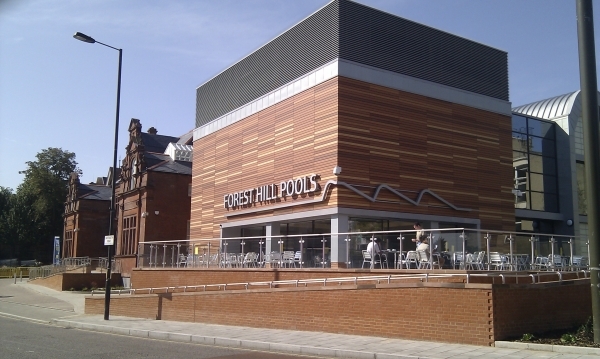 2005 – a consultation process starts to determine the future of Forest Hill Pools. Only two options are offered - to refurbish the pools or knock them down and build a new facility with just one pool. Most people who replied choose the rebuild option. 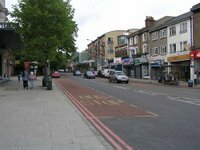 October 2005 – consultation meetings are held. There is a very vocal minority, which strongly opposes demolishing the Victorian pools and urges refurbishment of the existing building. March 2006 – the pools are closed when the roof is deemed unsafe. The Mayor is persuaded by the strength of feeling at the public meeting to opt for refurbishment, pending the results of an intrusive survey. May 2006 - English Heritage turns down an application to have the building listed. November 2006 – the consultants who carried out the intrusive survey report that extensive repair and replacement of most of the plant and fittings would be required to bring the pools up to modern standards. However, they believe the building fabric retains its structural integrity, so refurbishment is an option. February 2007 – The Mayor announces that he has decided to have the pools refurbished. A timetable for the work is produced with the grand opening planned for 2009. February 2008 – further feasibility studies are carried out and the results are discussed at the Mayor and Cabinet meeting. The full extent of the pools’ structural problems becomes clear. The Mayor agrees with the recommendation to demolish the existing buildings and build a new, two-pool facility on the site of the pools and Louise House.